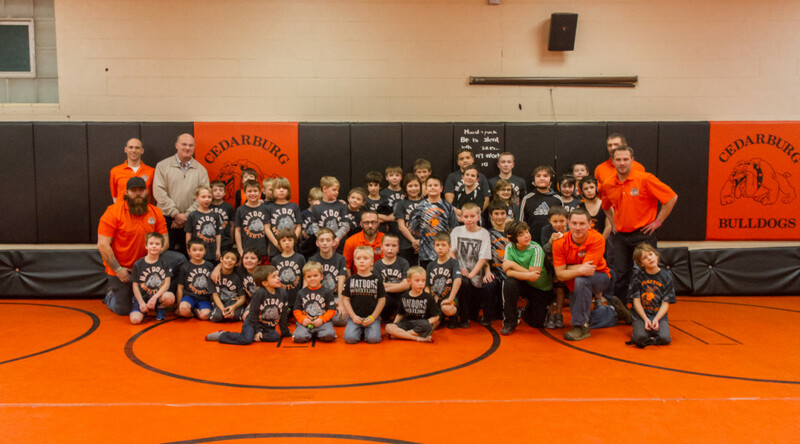 The Matdogs were part of the Coaches vs Cancer event with the CHS wrestling team. The jr. dogs had a scrimmage against the Grafton Gators prior to the high school meet. After their scrimmage the kids met in the practice room and listened to a few wise words from a Olympic Gold Medalist, Lou Banach.